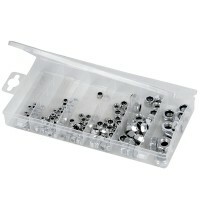 Fixman 396575 Zinc Plated Domehead Nut Pack Features 40 pack of hex dome nuts. 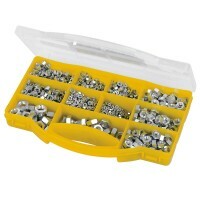 Zinc..
Fixman 755343 Hexagonal Nuts Pack Features Quantity: 108 pieces. 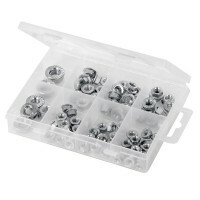 Zinc-plated for co..
Fixman 205828 Flange Nut Pack Features Quantity: 78 pieces. 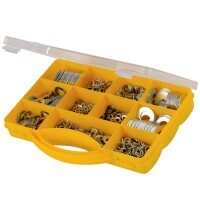 Zinc-plated for corrosi..
Fixman 795475 Tap Washer Repair Pack Features Quantity: 140 piece. 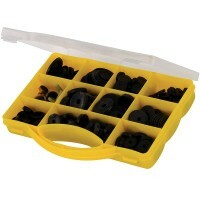 Assorted rubber ..
Fixman 773591 Locking Nut Pack Features Quantity: 150 pieces. 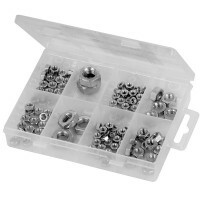 Zinc-plated hexagonal..
Fixman 771284 Hex Metric Nut Pack Zinc Plated Features 1000 zinc plated hex nuts in an as..
Silverline Washers Pack Features 1000 assorted washers. 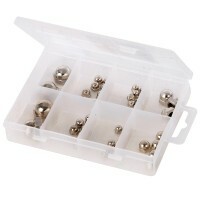 Portable carry case. ..